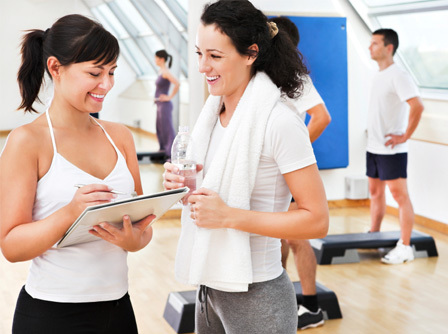 Career Tech Online has just added a Personal Trainer Personal Trainer Career Training Program. The details are listed below, or you can visit www.careertechonlineschool.com for more information. The certificate program is designed to supply essential education integrating exercise science curriculum and practical training techniques into a systematic model that teaches students to progress their clients through different training levels and phases. Students will be prepared for careers working at medically-based fitness facilities, community wellness programs, personal training studios, physical therapy clinics, corporate fitness centers, YMCA’s/JCC’s, and private and commercial health clubs. Guidance, instruction, and interaction from outstanding instructors that hold either a Master’s or Ph.D. degree in exercise science, biomechanics, exercise physiology, kinesiology, physical therapy, nutrition or an exercise science-related degree. Optional Field Internship Course: Students that enter the program have three unique internship options. Obtain a professional college certificate from an accredited institution. College courses provide CECs or CEUs for personal trainers, group fitness instructors, physical therapists, athletic trainers, exercise physiologists, RD’s, chiropractors and for those fitness and health professionals seeking re-certification, re-licensure, or career advancement. Cost-effective: expenses related to facilities, travel, and non-productive time is reduced. Control and flexibility: online education allows students to complete course work at their own pace. Easy access: online education allows students to access their education from anywhere there is an Internet connection. Advanced education for personal trainers, group fitness instructors, physical therapists, RD’s, athletic trainers, fitness managers, nurses, and chiropractors. Networking opportunities with industry experts, medical professionals, professors, researchers, and business leaders in the industry. The Professional Certificate in Personal Fitness Training program is offered in partnership with the American Council on Exercise (ACE). Graduates of the Certificate Program will receive a preferred discount to take the ACE Certified Personal Trainer Certification Exam and on study materials. Included with the certificate program registration, students will receive complimentary access to receive the National Posture Institute’s Certified Resistance Training Professional™ (RTP™) designation.